Forget little green men. Let’s focus on the real green pioneers of space travel: plants! Since the 1940s, plants have played a key role in space exploration, from our earliest rockets to future habitats in space. But did you know that spaceflight has also helped us learn more about our little green friends? In 1946, the first living tissue in space was a handful of maize seeds (corn). Scientists wanted to see how space radiation affected living tissue, before sending up anything more substantial. Maize seeds were an important stepping-stone for humans to reach the stars 15 years later. Space seeds have also helped bring the wonders of astronomy back down to Earth. In 1971, the crew of Apollo 14 flew seeds around the Moon before bringing them back to plant around the world. These ‘moon trees’ were grown alongside trees that hadn’t been to space, to compare any differences, but were also an important symbol of the technological advancements of mankind. 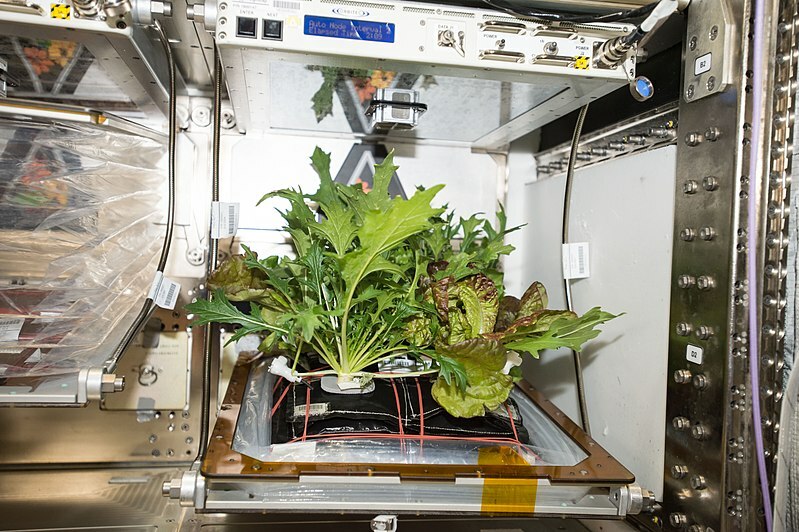 Nowadays, on board the International Space Station, a whole host of different plants are grown in the name of science. Astronauts eat about half of the produce (yes, even astronauts need their five-a-day! ), but plants also help keep the station air clean. Plants can recycle harmful airborne chemicals into safe, breathable air. Did you know that it was NASA that first unearthed the benefits of plants when it comes to air quality back in 1989? Their Clean Air Study found that certain plants remove chemical irritants such as formaldehyde and ammonia from the air, which has greatly influenced the popularity of air-filtering houseplants to this day. Along with keeping astronauts physically healthy, plants also help psychologically. Studies have shown that nurturing and growing a little piece of Earth so far from home can help an astronaut’s environment feel a little less alien. Younger readers in the UK might remember a similar experiment when rocket seeds flown with astronaut Tim Peake were sent out to British schools for testing. 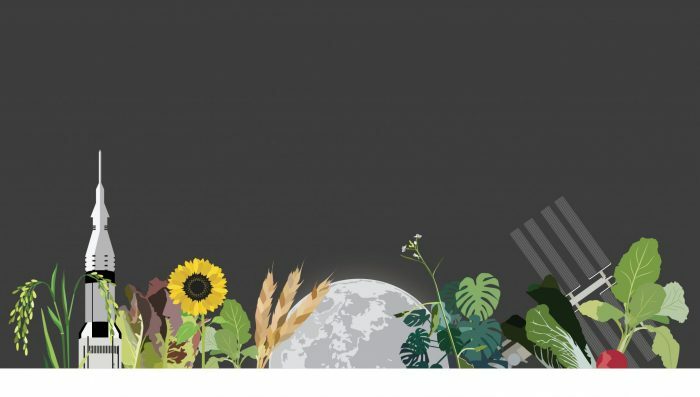 Download our very own Plants in Space timeline here! It’s clear that plants have greatly influenced space travel, but this is not a one-sided story. Space research has also taught us so much about how plants work. By providing unique conditions that we cannot simulate on Earth, space plant research has really taken off (quite literally) in recent decades. We have learnt a lot about plants based on how plants grow in space, without the influence of gravity. On Earth, we know that roots grow down away from the light and that shoots grow up towards it. So we can say that gravity and light tell plants how to grow. However, in space, without the effects of gravity, do the roots still grow down? How do the plants know which way is up? 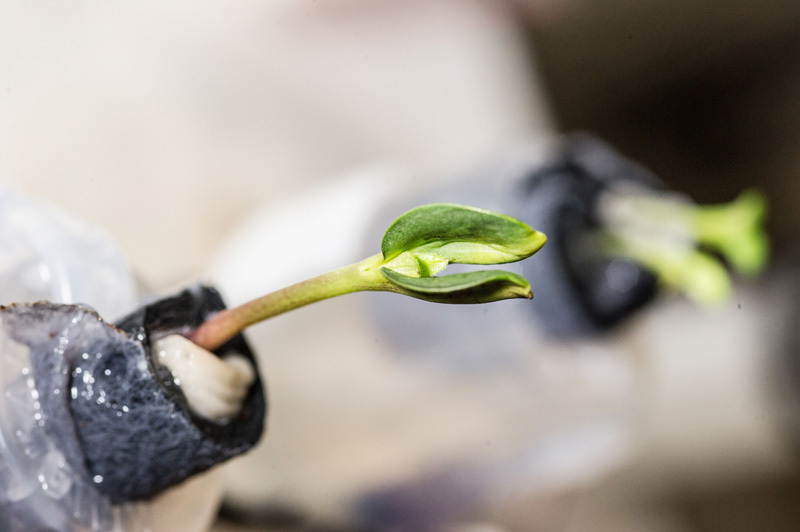 Amazingly, when grown in space, the roots still grow away from light and the shoots towards it, which tells us that light is the main driver of plant growth direction. In space, we can also learn how plants respond when starved of oxygen. Like us, plants need oxygen to breathe and on Earth, this is relatively straightforward. Gravity helps gases naturally mix in the air: warmer air rises whilst the colder, denser air sinks towards the ground. This continual mixing ensures that the air around us is relatively even, so we do not experience oxygen starvation when we sit in one spot and breathe. However, in space, this mixing of gases does not occur. When a plant breathes, it uses up the oxygen around it. With no fresh oxygen mixing around the plant, it can experience local oxygen starvation, limiting the amount of oxygen available to keep the plant alive. It’s important to understand how much oxygen and overall air mixing a plant really needs to grow. One day, if we are to grow plants on other planets, with different levels of gravity, the knowledge gained in these experiments will be key. Plants are a critical part of space travel and space travel is a significant player in plant science. The further we travel into the unknown, the better our plant knowledge needs to be. 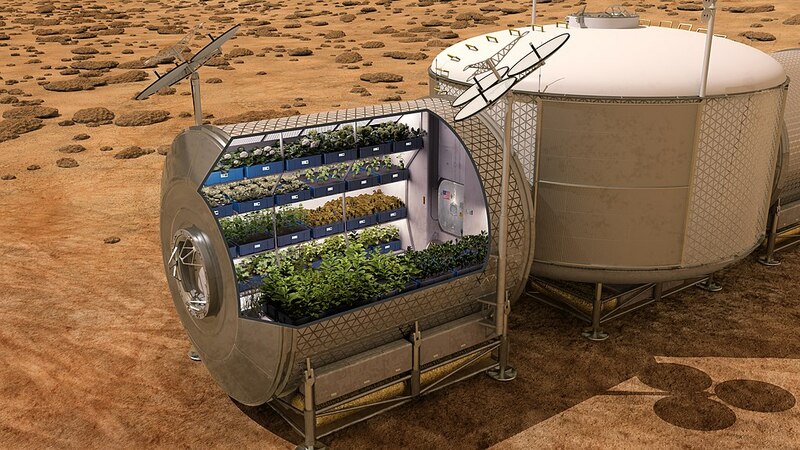 Any long-duration space mission will rely on locally-grown plants for food, atmosphere recycling, and psychological benefits for the crew. As space exploration and rocket technology continue to advance, so too must our abilities to grow plants in unnatural environments. No matter how far we venture away from Earth, into the depths of space, we will not be able to escape eating our greens! About the author: Daisy Dobrijevic is a PhD researcher in the division of Agriculture and Environmental Science at the University of Nottingham, and an alumna of the National Space Centre team.